Even if you and your partner do not agree on much, divorce mediation could still be for you. 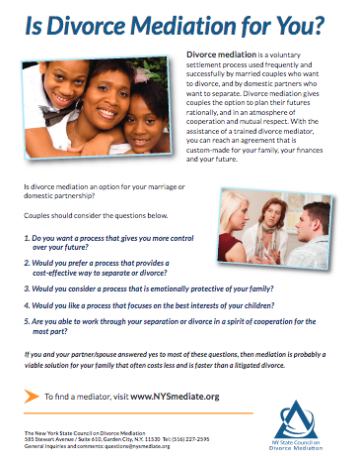 Check out The Divorce Mediation Quiz for typical issues to think about when considering divorce mediation. If you and your partner think that divorce mediation could be a sensible solution for your family, you should learn more by meeting with a divorce mediator who can answer questions specific to your situation.